Probably the most famous song that Irish-American Chauncey Olcott ever turned out, published in 1899. The inspiration came from a trip to his mother’s homeland (Ireland) in 1898 by Olcott and his wife, during which a child offered her a flower. When she asked what kind it was, they were told “a wild Irish rose.” Mrs. Olcott had saved the flower by pressing it into an album. 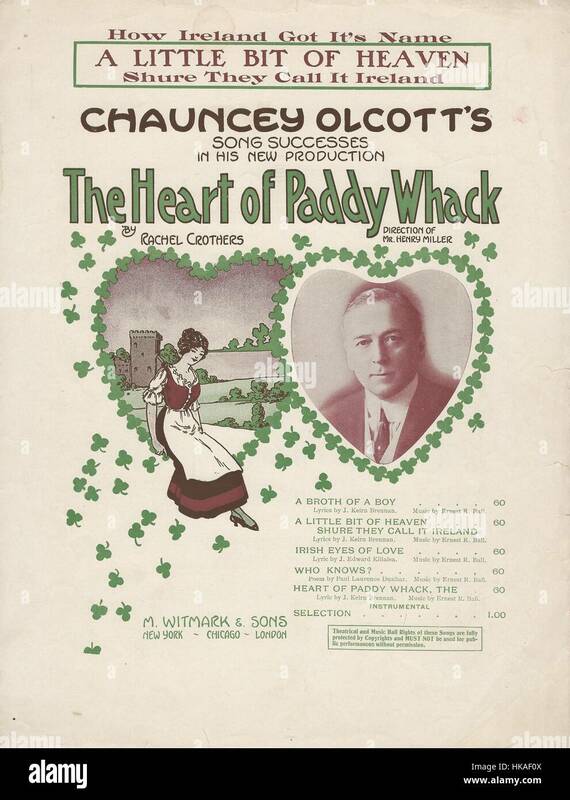 Chauncey Olcott was an American stage actor, songwriter and singer of Irish descent, widely known as an accomplished tenor. He co-wrote the popular Irish-American tune “When Irish Eyes Are Smiling”. An Oscar-winning movie depicting the life and times of Olcott was made in 1947, called “My Wild Irish Rose”. My Wild Irish Rose (1) This version is available from the San Jose Uke Club, with verses. My Wild Irish Rose This is our version, also available in a different key at the Doctor Uke website. Previous Article The Wild Irish Month!